Providing affiliates with plethora of creatives is essential for any affiliate program. The creatives could be banners, text links, coupons/deals, and videos; but providing as many as possible is advantageous for any affiliate program. Having a wide selection of creatives is great, but how do affiliate managers know the top converting ones and what new ones should be introduced? Affiliate networks provide merchants (and affiliate managers) access to important data regarding their creatives. This data helps determine what creatives to keep creating in the future and what ones to discontinue, but will also tell the needed statistics like clicks, revenue, etc. CJ Affiliate is one of the networks that provides in-depth data on how specific creatives are performing. The following steps will show affiliate managers how to view affiliate creative performance in CJ Affiliate. Once logged in to the CJ Affiliate merchant interface, navigate to the “Reports” tab and click “Performance” from the drop-down menu. After clicking on “Performance” in the reports tab the next screen will allow affiliate managers to sort performance by links. Under “Performance by” click the drop-down box, select “Link” and then either hit “Run Report” or add a specific “Link ID” to the box. By not adding a link ID it will generate a report with all the creatives in the inventory, but by specifying a specific link it will only show data for that one. 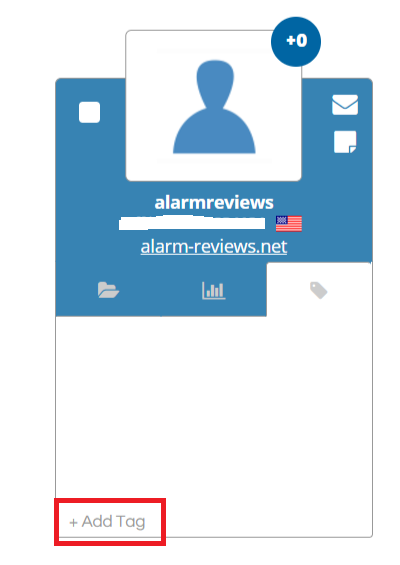 Each creative (banner or link) will have the following information available to analyze: publisher commission, total commission (includes CJ Affiliate’s fees), sale amount, number of sales, leads (if applicable), items, clicks, impressions, conversion rate, click through rate, and EPC (earnings per 100 clicks). Whether it is just checking the performance of banners and links for basic knowledge or using the data to build a top-notch creative inventory affiliates can use to grow your affiliate program and their earnings, the data is extremely helpful. Finding out the best converting links (or deals) and banners will help make the affiliate program an affiliate friendly program that will be fruitful for all parties involved. As an affiliate manager one of the main responsibilities is recruiting new affiliates to grow the program. There are different methods and places to find prospective affiliates, but keeping track of where new affiliates come from can be a cumbersome task. ShareASale offers a way for merchants to “tag” prospects and have them use a custom URL that will allow them to attribute the signup to a specific outreach campaign and create and make the recruiting process more organized. The following steps are how to create a custom recruiting URL within ShareASale. First, navigate to the “Affiliates” tab in the main menu and click “Affiliate List”. 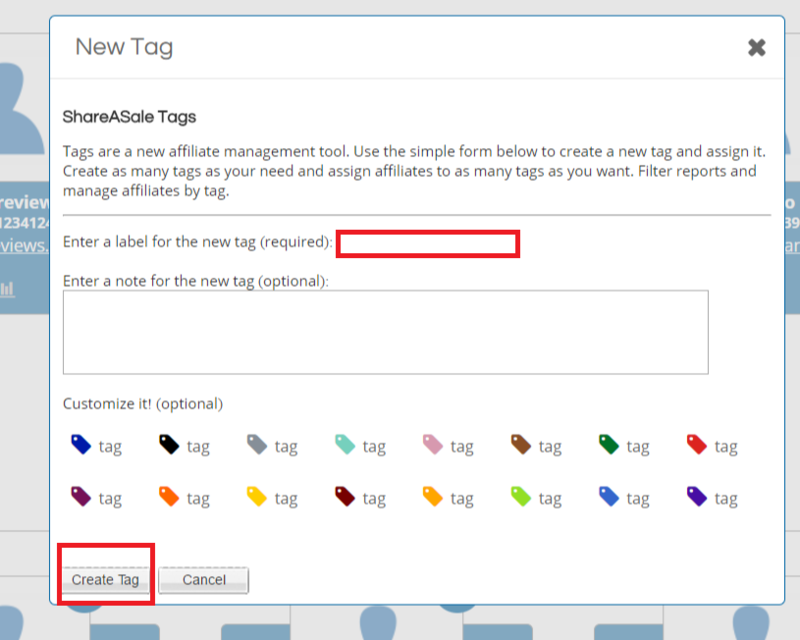 Next click “Add Tag” and then Click “Create Tag” (in blue). Next, the “tag” will want to be specific regarding the recruiting campaign, so in the smaller rectangular box the title of the tag should be entered (ex. SIGNUP FROM CONTENTAFF). Click “Create Tag”, now the tag is created and will be used in the recruiting URL. Below is the standard URL used for affiliates to sign up to an affiliate program. The source= should be the tag title minus the “SIGNUP FROM”. Please note that the XXXXX should be replaced with a ShareASale merchant ID. Each time a prospect applies to the affiliate program using the custom URL it will indicate that in the application. Recruiting is one of the most critical components in building an affiliate program, so creating custom recruiting URL’s for all prospects is highly recommended. It will streamline the process and make campaign attribution easier as well.